Weekend is here!! Looking for something to do? Chinese New Year is also just less than a month away! Have you started decorating for the auspicious celebration? or Cracking your head on how to decorate your house? Here’s a great idea for you to try! Just read through this posts and be ready to get your hands “dirty” ! We did this on Monday to be put up on our walls as our decoration for this festive season. 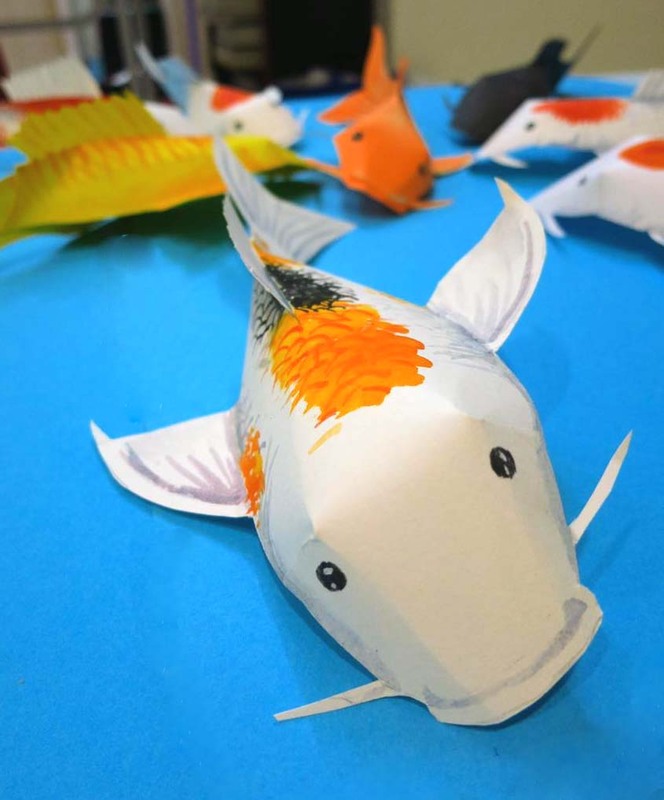 It’s really quite a lot of fun.And there was an overwhelming satisfaction seeing the fishes transform from a blank piece of white paper into a life-like fishes. 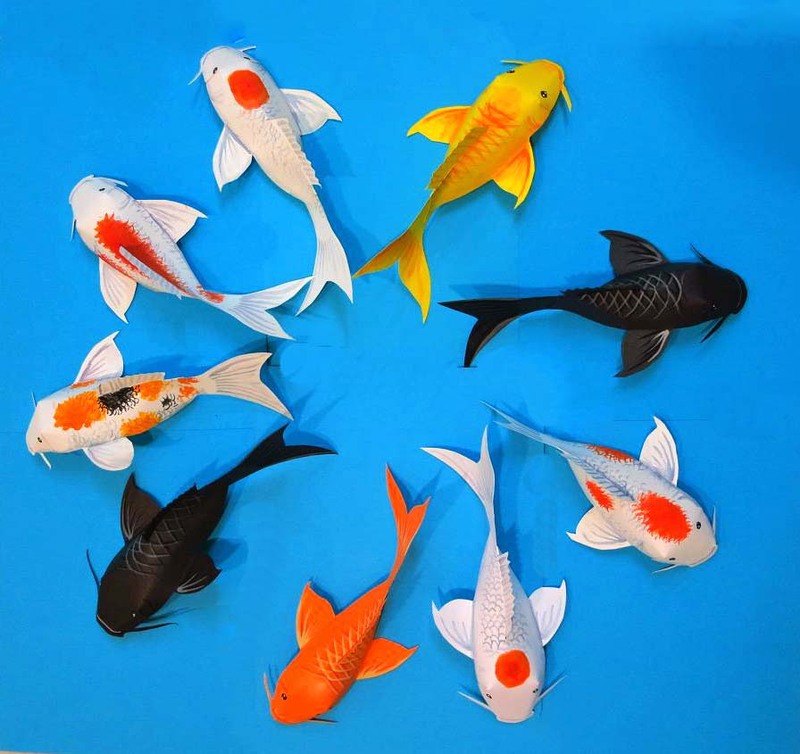 We chose Koi fish as it symbolizes prosperity, good fortune and abundance. In Chinese, we always say Nian Nian You Yu. 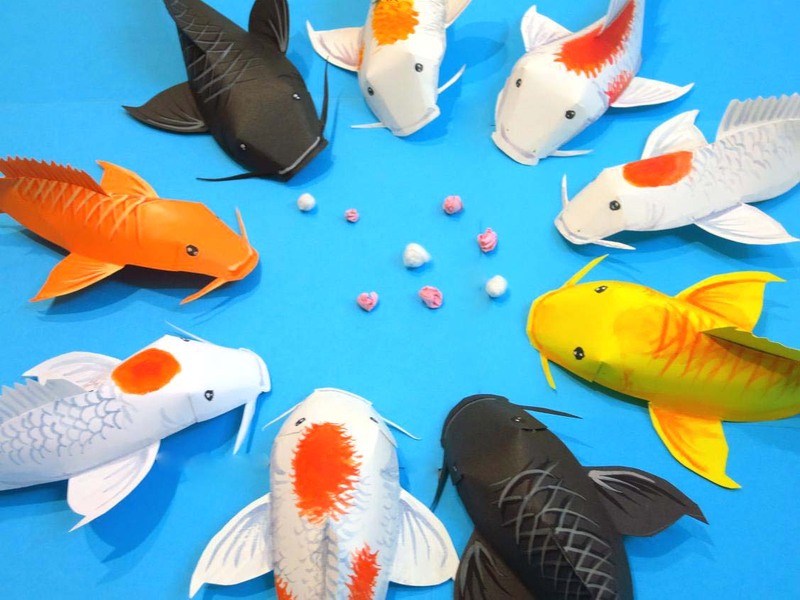 (年年有余),literally meaning excess of prosperity every year.The yu ( 余 )here means excess and the word fish( 鱼) in Chinese has the same pronunciation,kind of a play of words. Also, it’s our favorite pet! Look at how lively they are! We’ll teach you how. But first we need you to prepare some materials first. 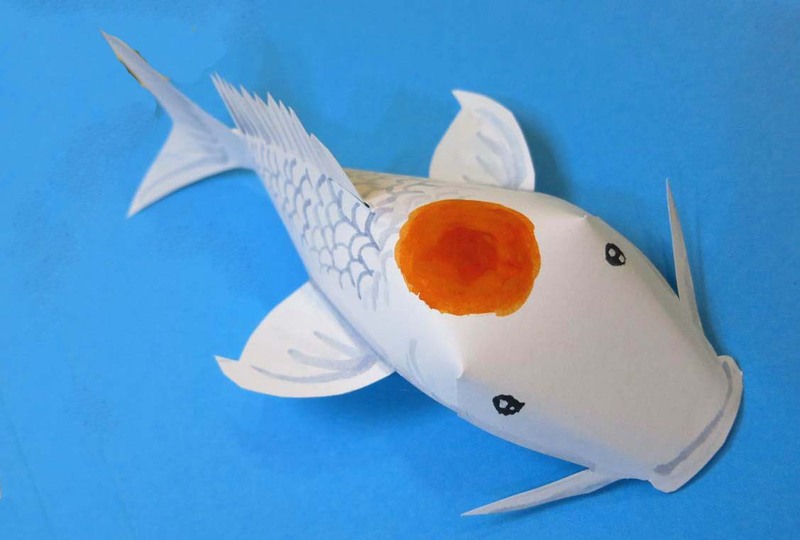 Here’s the step-to-step basis on how to make these beautiful Koi fishes. Suits our blog theme too! 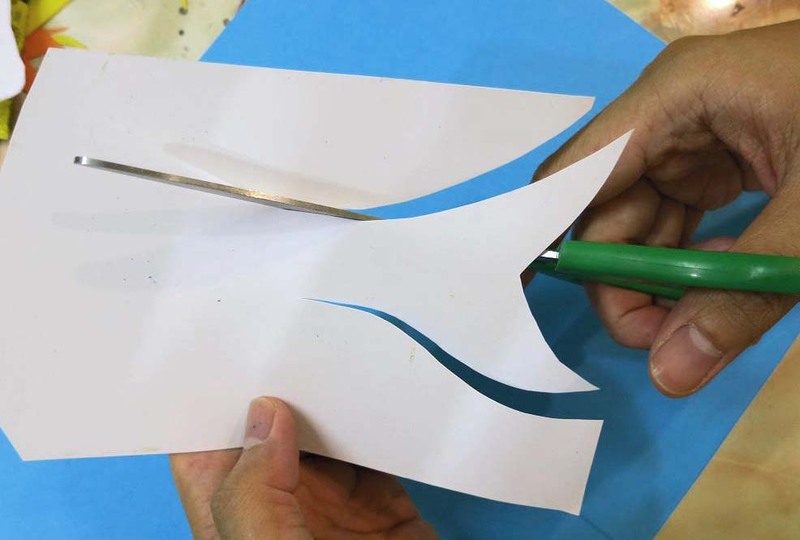 This is the most important step as it determines the size and shape of the fish. Take note the both sides are preferably of the same size. 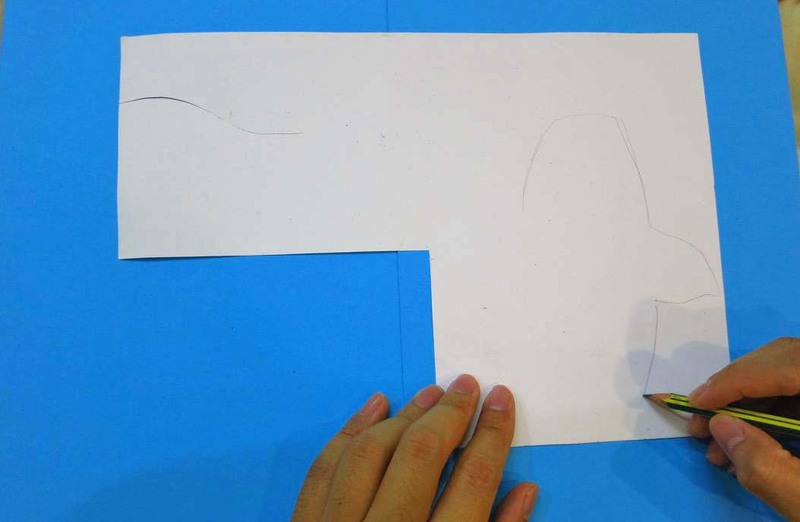 Just follow the trace and cut it deliberately. 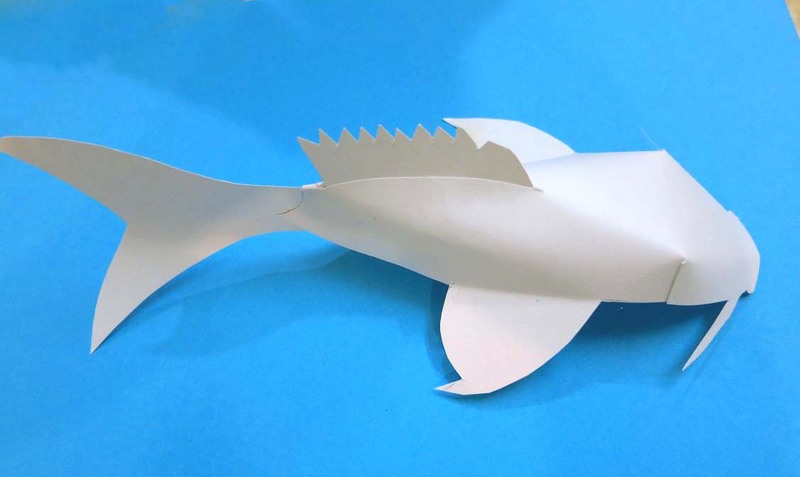 The blank fish is now ready to be painted! 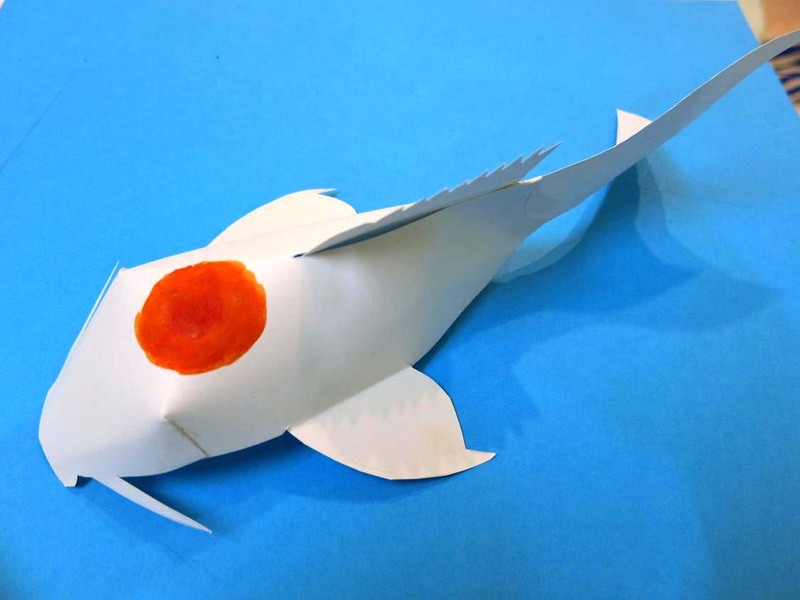 Step 4: Time to paint the fish and create your personal Koi fishes!! Let your creativity go wild!! 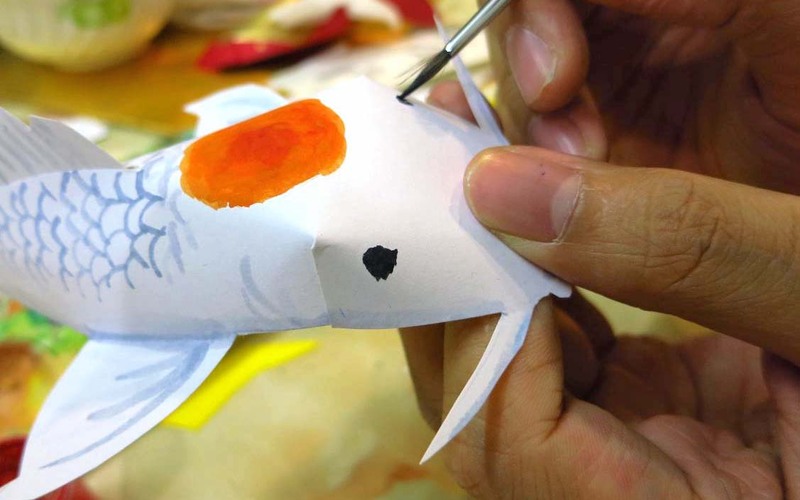 Step 5: Paint the most prominent part of the fish pattern. Step 6: Detailised the scales, fins and the eyes. Tadaa!!! 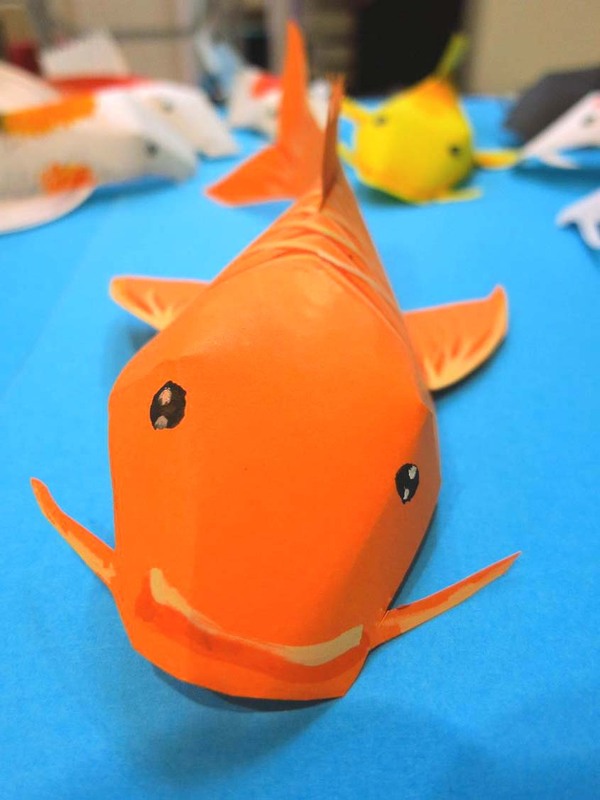 The completed Koi fish! Step 7: Make a few more of different colours and patterns. 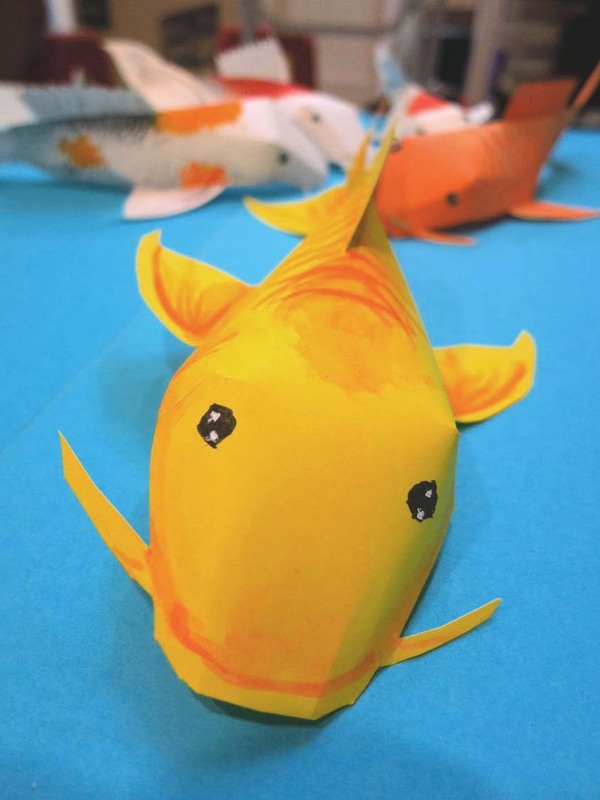 Here’s the yellow koi fish. 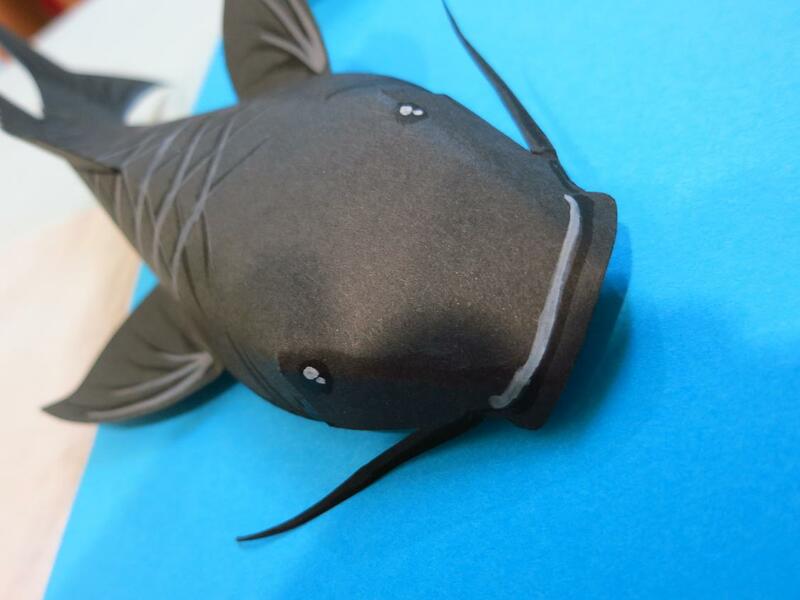 According to Feng Shui, a black fish is needed as the part of a group of nine fishes collection to absorb all the negative energies. The positive energy emitted by the other fishes will continue to prosper the family who display the group of nine fishes in a harmonious way. 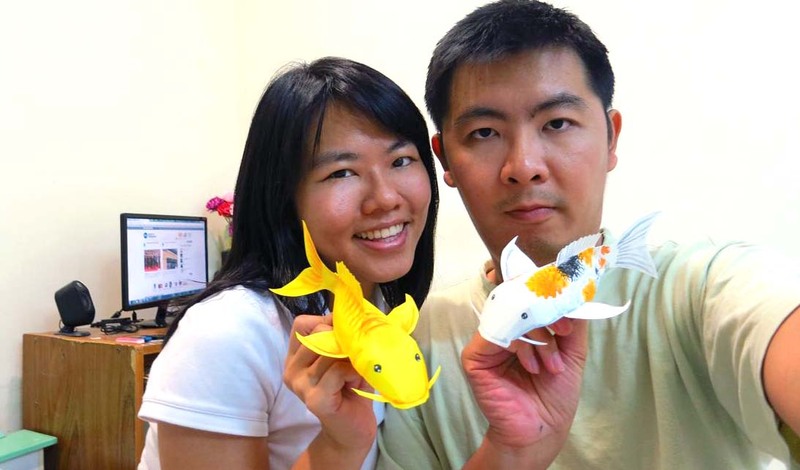 Our Prettiest Koi fish, the most feminine among all..
Now, you can own these cute prosperous Koi fishes too! Trivia about Chinese New Year:It is the most important traditional Chinese Festivity known as ‘Spring Festival’ based on the lunar calendar.Reunion dinner 团年饭 ‘Tuan Nian Fan’ (or lunch ) is a must for families on the last day of the previous year.Chinese New Year’s Eve is a day where Chinese families gather for their annual reunion dinner known as Chúxī (除夕), literally “Eve of the Passing Year.” Chinese from all over the world will travel by all means possible to reach their home and participate in this the reunion dinner.